Tim Brookens and I made our annual pilgrimage to the Savage River. The river was low in comparison to most years which made it easier to wade. In addition the water temperature was 65 degrees so it was good to wet wade (Tim forgot his waders). 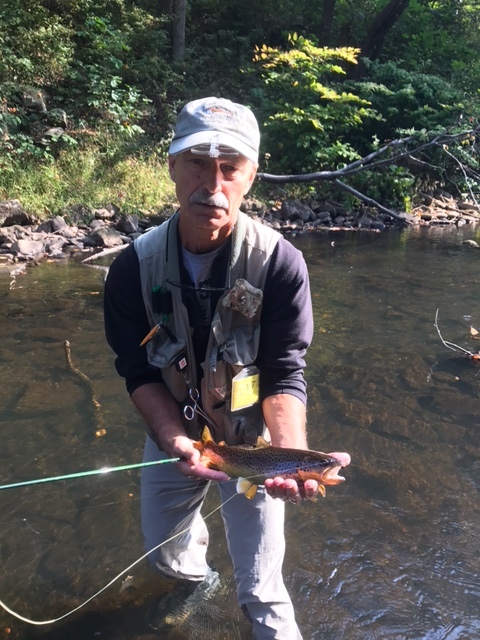 We had a successful day – landed 9 fish ( 8 Brown and a brookie). 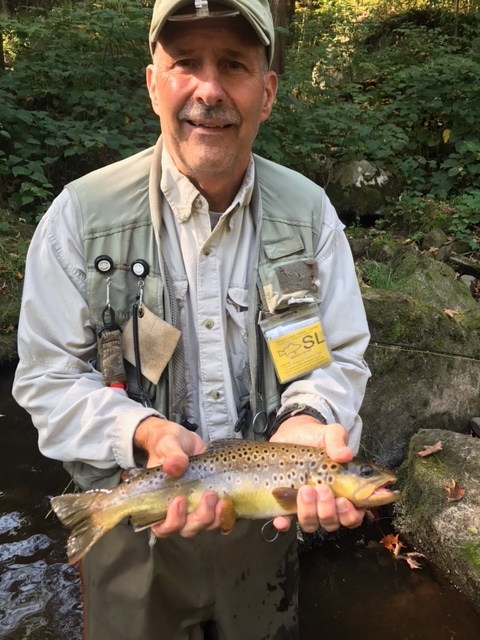 We each caught 14″ Browns. Any fish over 12″ on the Savage is considered a trophy in my books. The fishing was almost as good as cooking burgers at the campground by the river for lunch. Due to busy (retiree) schedules we made it a one day trip but wished we could have camped and stayed for another day or 2.